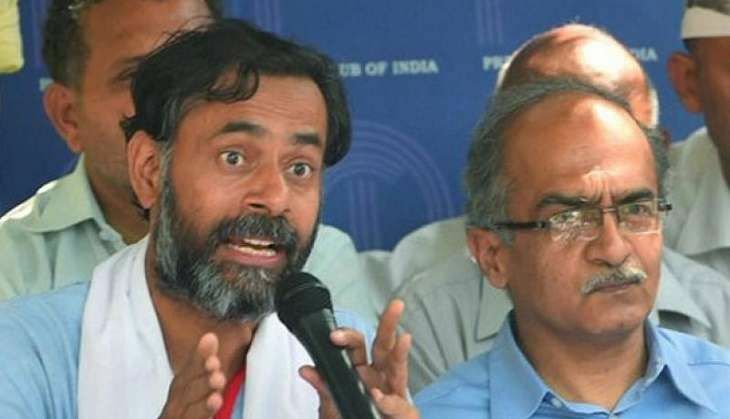 Former Aam Aadmi Party (AAP) leaders Yogendra Yadav and Prashant Bhushan announced on 2 October that their political party would be named Swaraj India. While addressing the concluding session of a two-day Abhiyan national convention in Delhi on 1 October, Yadav had said: "We had announced that we would be forming the party by 2 October, so we will be doing that tomorrow. We will also announce the name of the party." Later, a committee was formed to look into the details of the new political party. Yadav had said, "We were never secretive about going political. A decision to launch a political party was taken with nearly 93% of the delegates at the convention overwhelmingly supporting it." Yadav, however, had clarified that Swaraj Abhiyan will continue to exist even after the new political party is launched and the two will function independently. It had parried questions on whether the new party will contest the Assembly elections in five states, including Punjab, which are going to polls next year. Yadav and Bhushan were sacked from Aam Aadmi Party in April last year for "anti-party" activities. They had hit out at AAP chief Arvind Kejriwal questioning his "supremo style of working" and "lack of transparency" in the party.